The “I” in the ghostly documentary I Called Him Morgan is Helen Morgan, the “him” Lee Morgan, the transcendental bop trumpeter whom Helen (his wife) shot in the chest on a snowy night in 1972, some years after she’d pulled him out of the gutter and helped him kick the heroin habit that had ended his career. The movie’s Swedish-born director, Kasper Collin, makes magic with ingredients that are magical to start with: a handful of contemporary interviews; black-and-white candids of Morgan and such friends and colleagues as Wayne Shorter, Bennie Maupin, Billy Harper, and Charli Persip; and an audiotape of Helen, sounding old but firm a scant month before her death in 1996. Oh, yes, there’s music, lots of it. 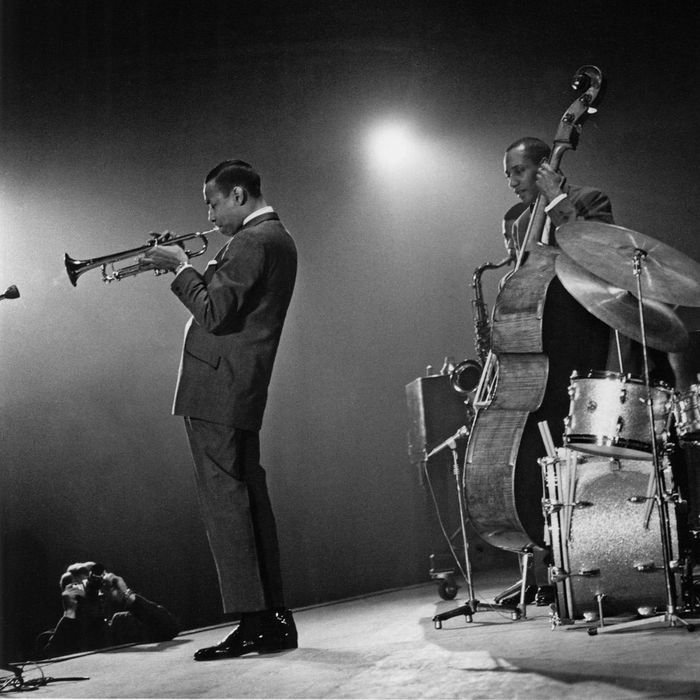 If you don’t know Lee Morgan, it will be love at first listen. The events recounted in I Called Him Morgan are elemental, in the world of 20th-century bebop perhaps even archetypal: Morgan’s auspicious debut with Art Blakey; his growing fame; the drugs that led to a burn scar on his scalp from when he OD’ed and fell against a radiator; his rehab and new life and then evident feeling of entrapment; and his infatuation with a younger woman who now insists to Collin that Morgan’s “sexuality was very, very limited.” Not much of the above is filled in, but it hardly needs to be. The movie is like a record you could spin again and again. The musicians must be the most photogenic men alive — almost every shot evokes a freedom of spirit, a simultaneous relaxation and alertness. Collin supplies a visual motif as connective tissue: ash, smoke, snowflakes, rain, all of them swirling against winter skies or clubs like Slugs or the apartment building on the Bronx’s Grand Concourse where Morgan got his chops back. The movie has the perfect soundtrack for swirling. It’s mesmerizing, too vivid to be evanescent, too precious to hold.